One of our experienced surveyors can inspect your property & provide you with a no-obligation quote. Your property will be drilled at certain points to provide access to the entire cavity for the insulation to be injected in. We follow a specific drill pattern to ensure the entire cavity is filled with insulation. Certainfil Cavity Insulation Limited is a second generation family business specialising in installation of Bonded Bead Cavity Wall and Fibreglass quilting loft insulation. As BBA certified installers our cavity wall installations come with a 25 year CIGA guarantee and our loft installations are completed to Building Control requirements. 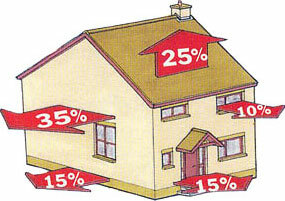 An un-insulated home can lose 35% of its heat through walls and 25% through the loft. You can save up to 40% on your fuel bills and it benefits the environment as well as your pocket. Properly insulating your home can dramatically reduce heating bills and increase warmth. The risk of black mould growth developing within the house is also reduced. By insulting the cavity space between your internal wall and external brickwork you will reduce the amount of heat lost through the walls and therefore help to retain the heat in your home for longer. For more information on the services we can provide please call us on 02890 285 315 or 07779 098 784. The Affordable Warmth Scheme is the Department for Social Development’s new scheme for addressing fuel poverty in the private sector across Northern Ireland. There is a range of energy efficiency measures available under the Affordable Warmth Scheme, including insulation, ventilation and draught-proofing. 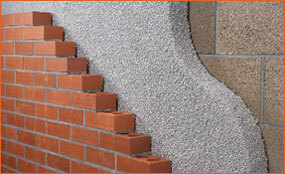 Certainfil Cavity Insulation is eligible to carry out work under the Affordable Warmth Scheme. If you qualify to receive the grant, contact us to make an appointment and find out more about the services we provide under the Affordable Warmth Scheme. Click here for info on home insulation grants!